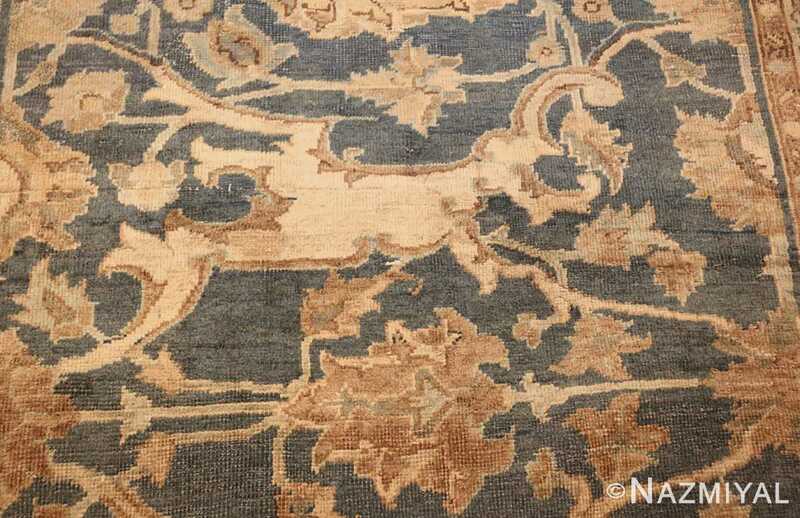 This intriguing carpet features a subdued color pallet of muted blues and golds, as well as a refreshingly unusually formatted design. 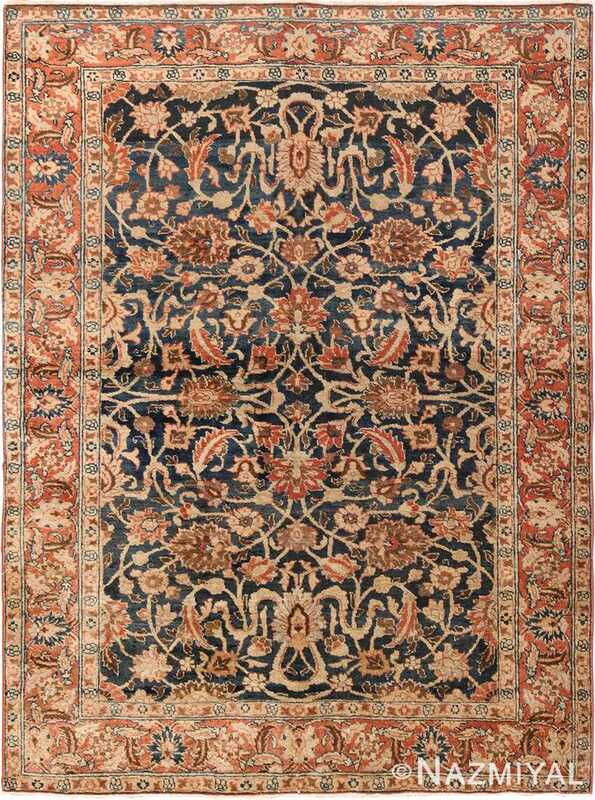 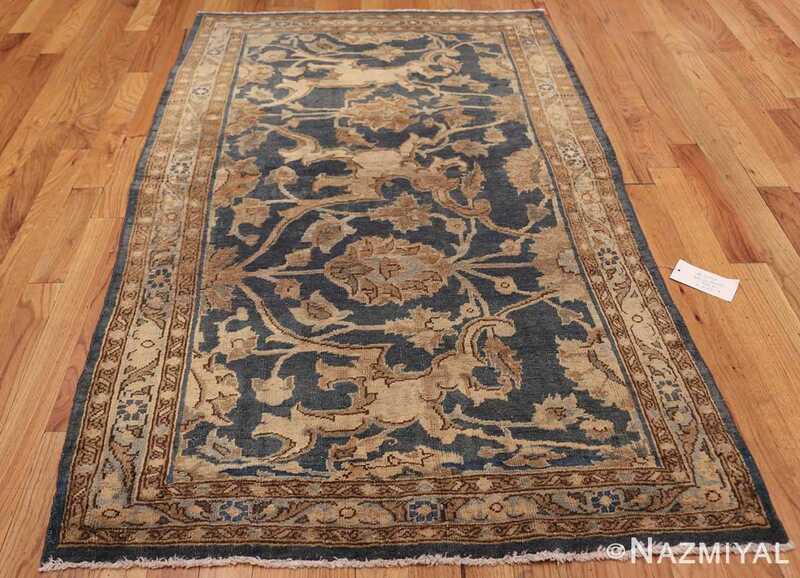 Antique Persian Tabriz Rug, Country of Origin: Persia, Circa Date: Turn of the 20th Century – Here is a captivating antique rug – an antique Tabriz carpet, woven in Persia during the early years of the twentieth century. 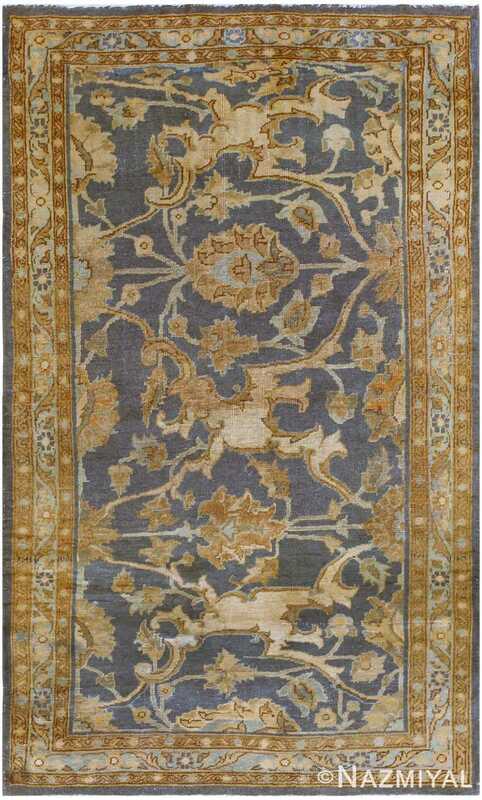 This intriguing carpet features a subdued color pallet of muted blues and golds, as well as an unusually formatted design. 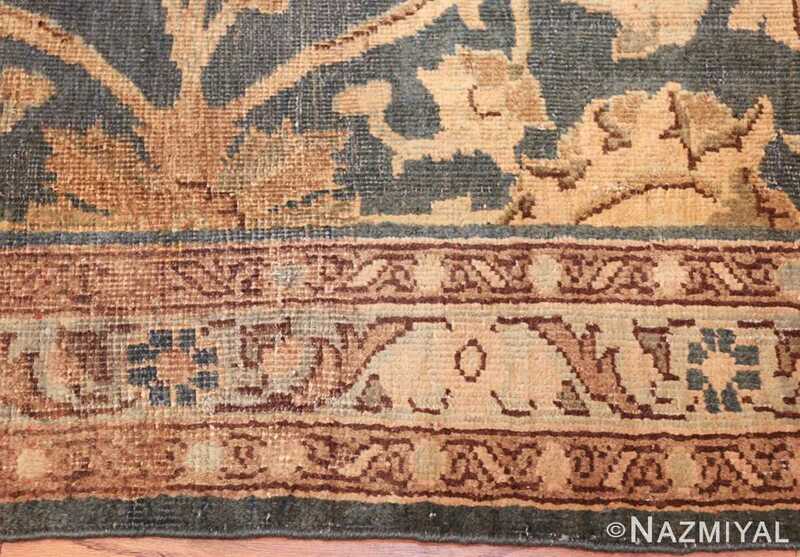 The borders are much as one would expect in a carpet of this age and provenance – inner and outer borders are tightly packed with detail work, while the primary, inner border is characterized by a flowing, flowering vine scroll. 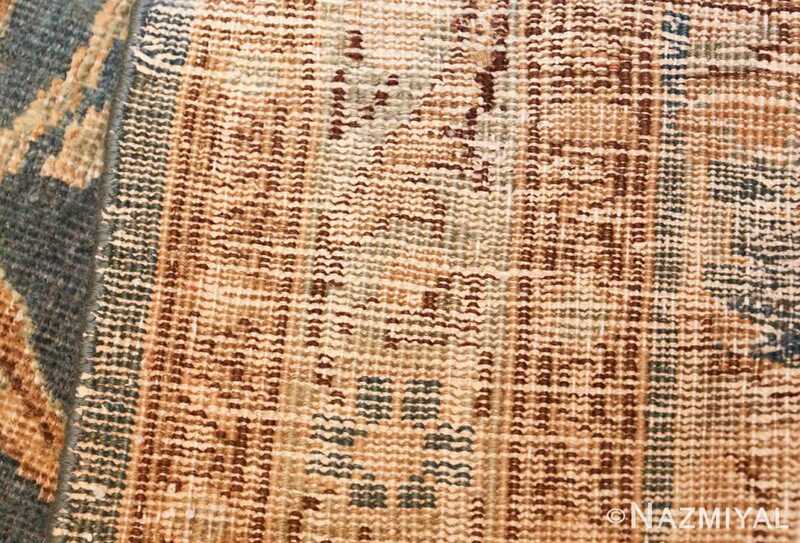 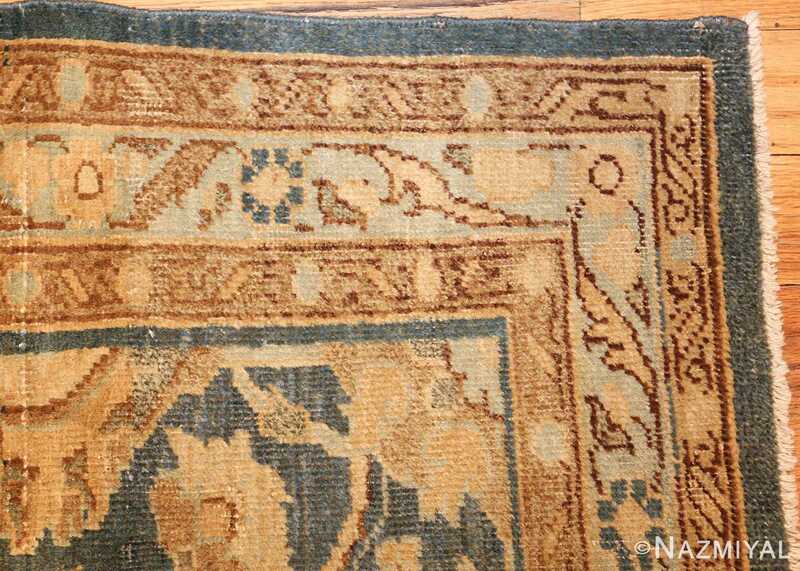 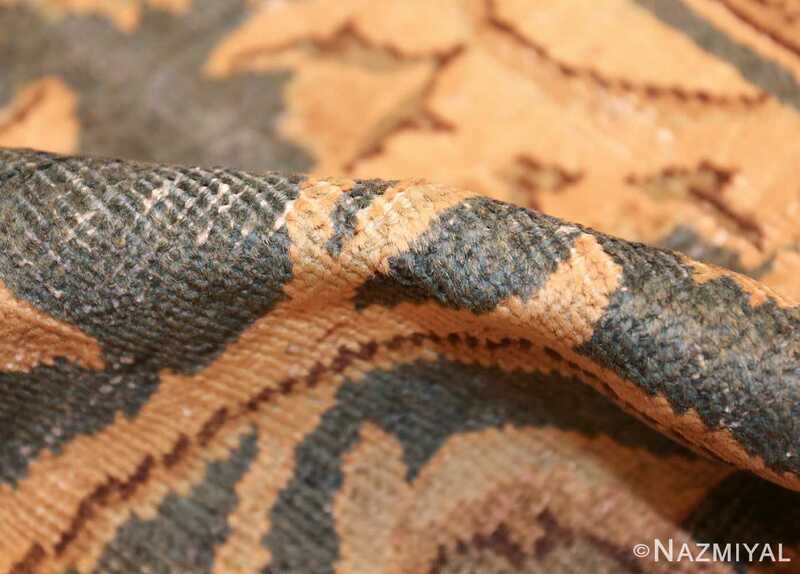 All of this is treated with the same blues and golds that are found throughout the carpet. 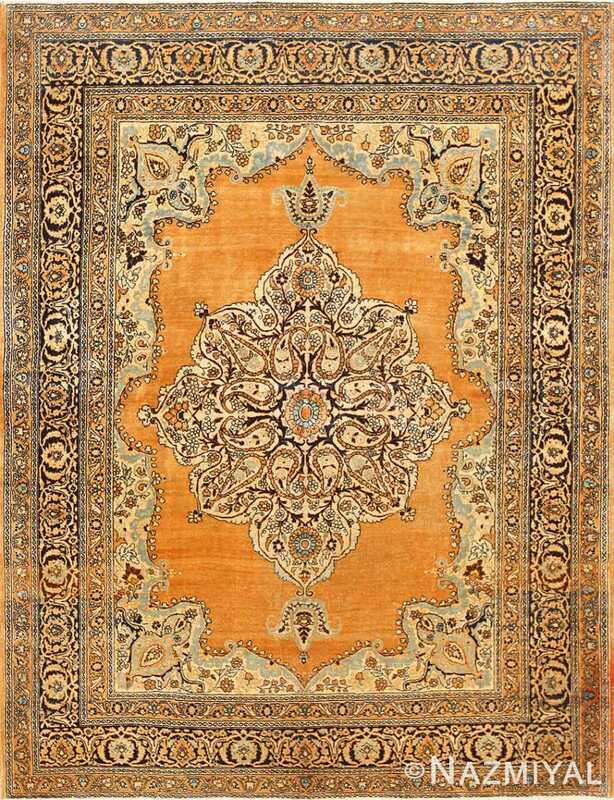 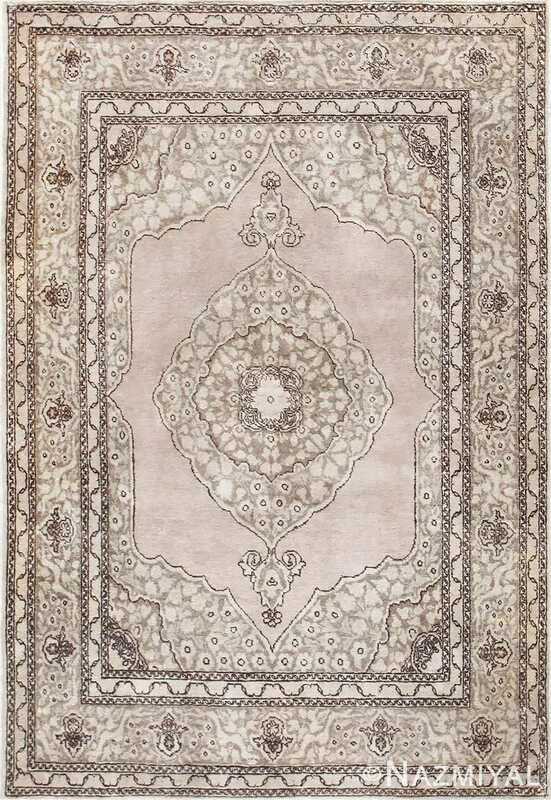 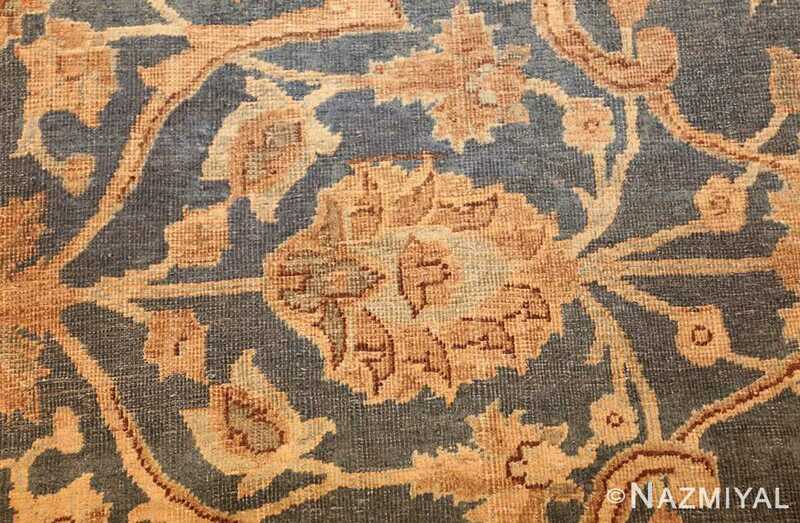 The field, however, presents its detail work in a much large format than one might expect: for rather than featuring a repeating allover pattern or a central medallion, the field of this Persian rug features a smattering of vine scrolls and large floral details, which appear as they might on a much large carpet.